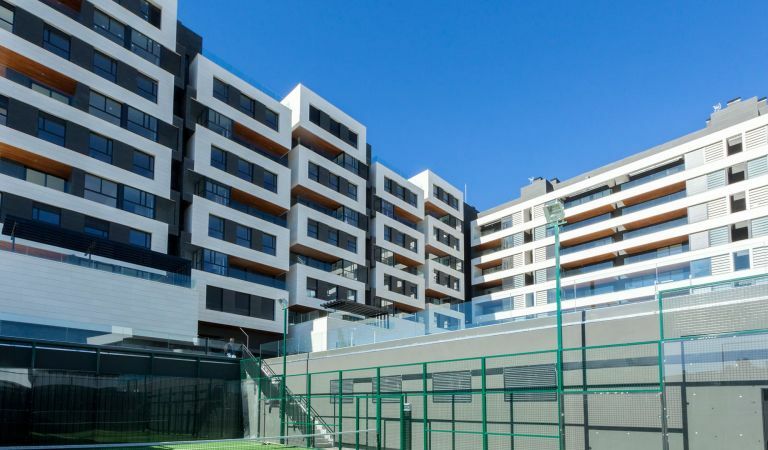 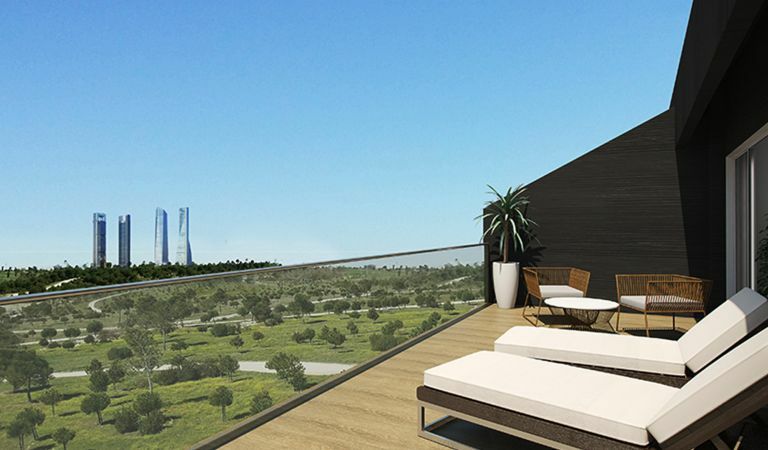 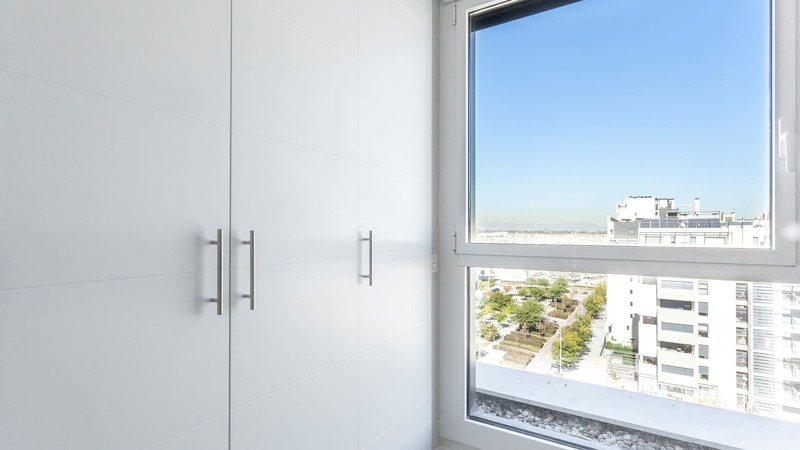 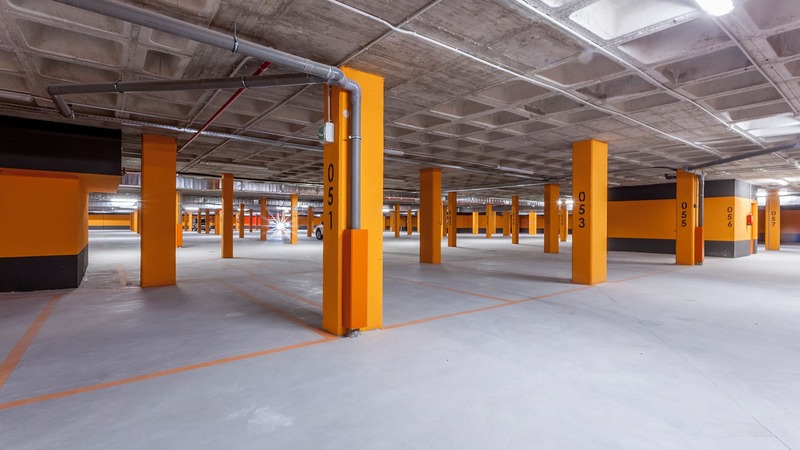 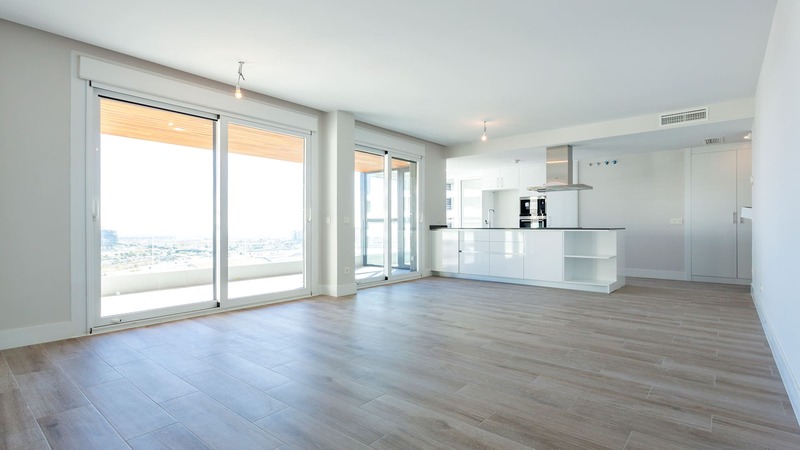 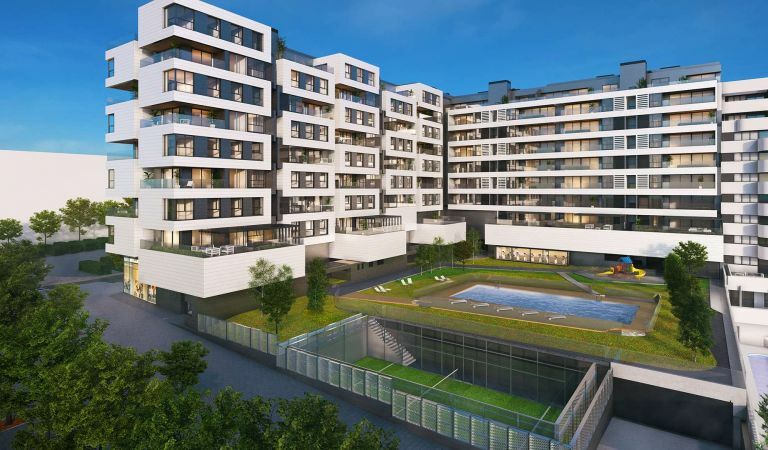 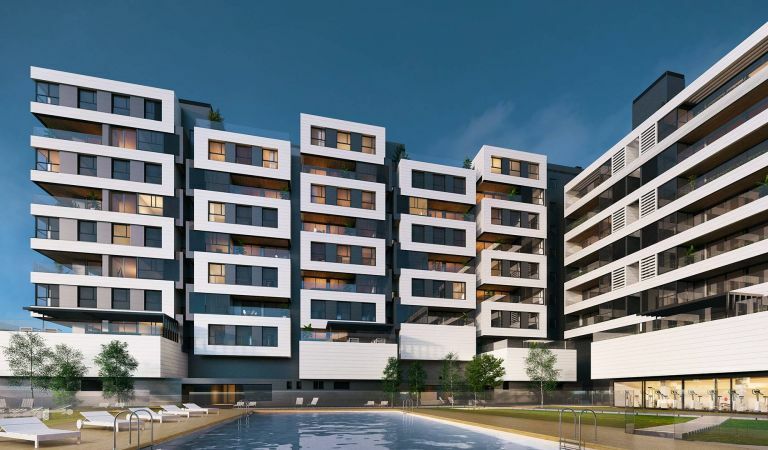 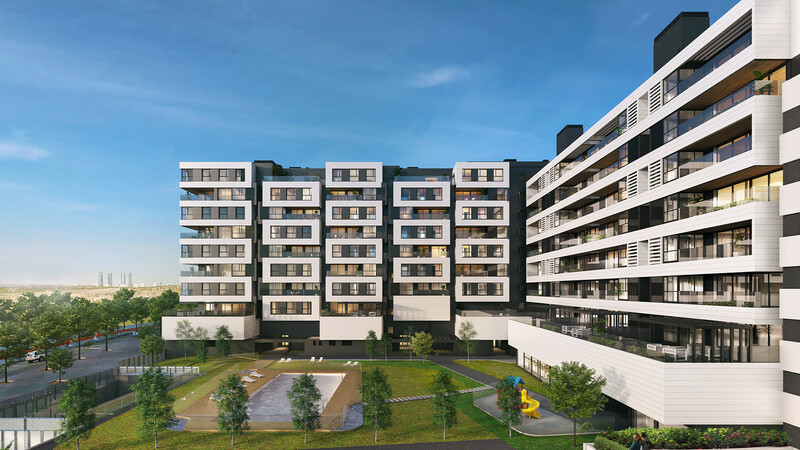 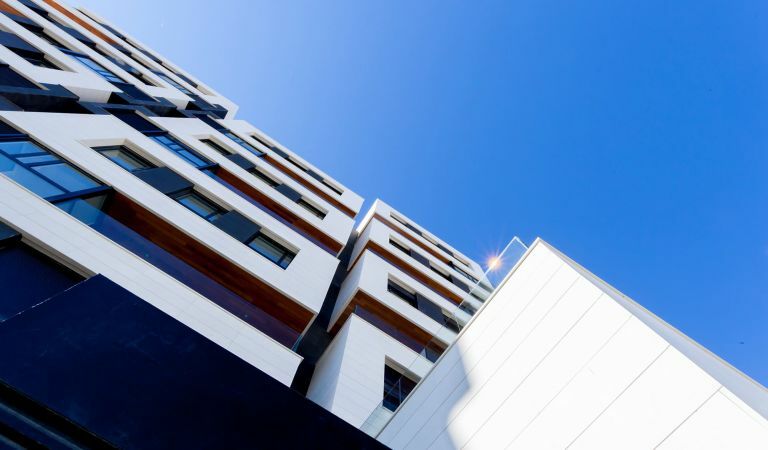 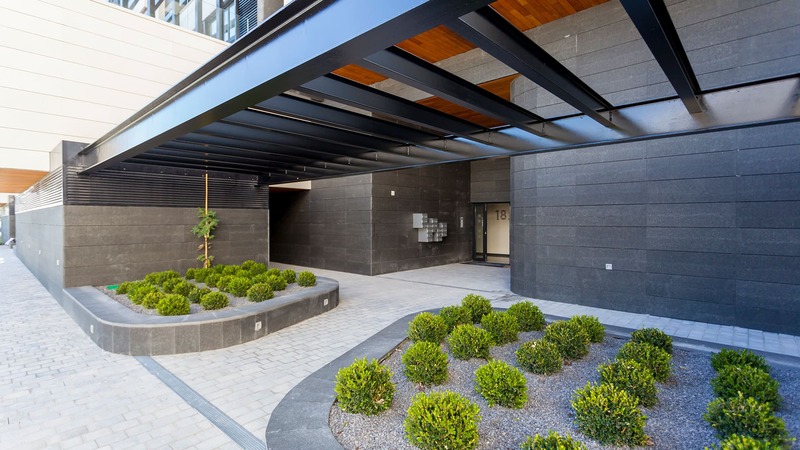 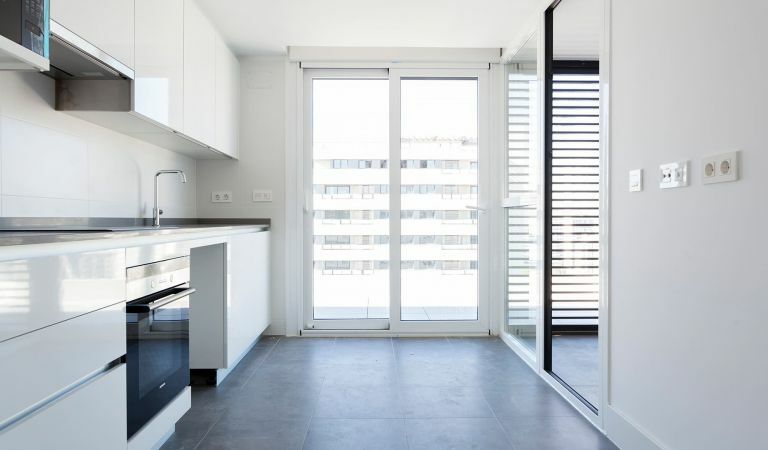 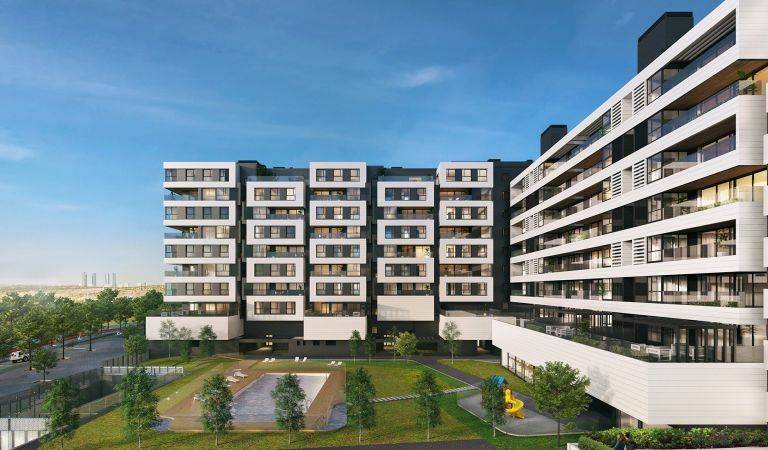 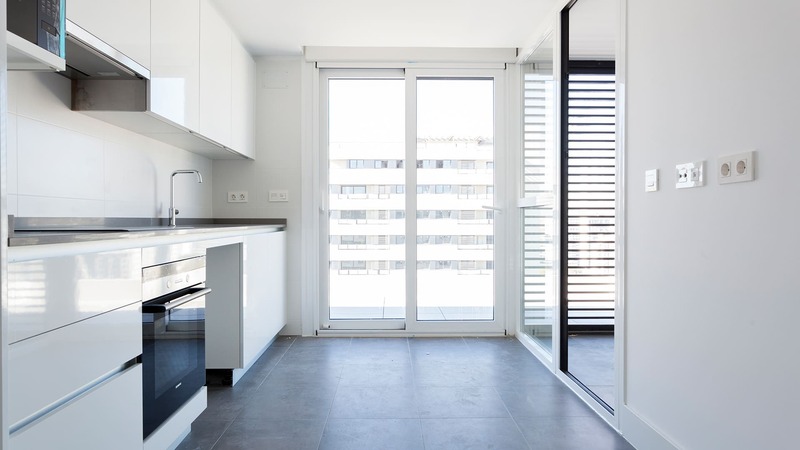 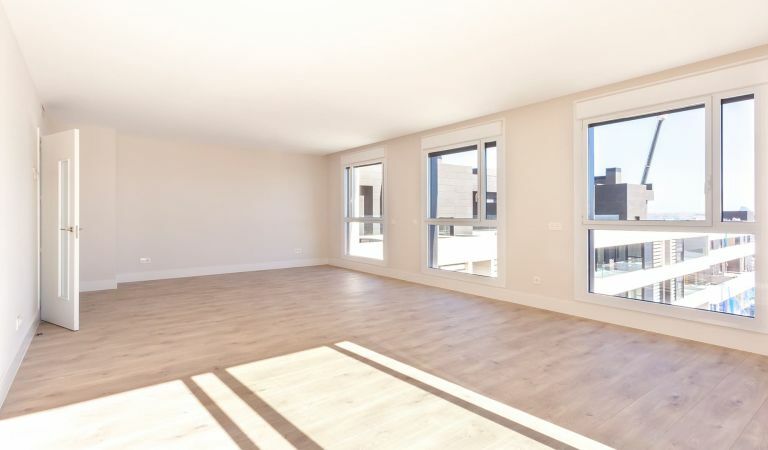 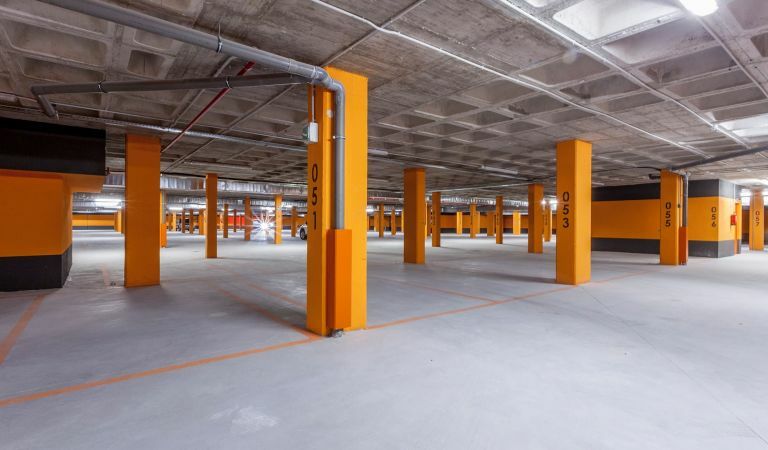 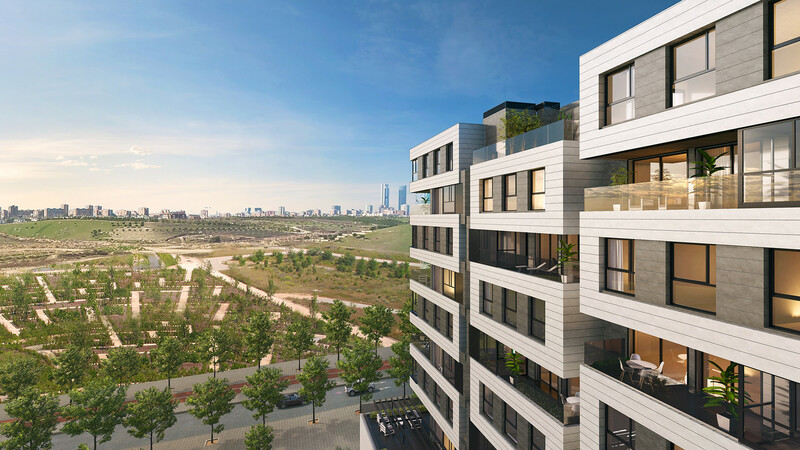 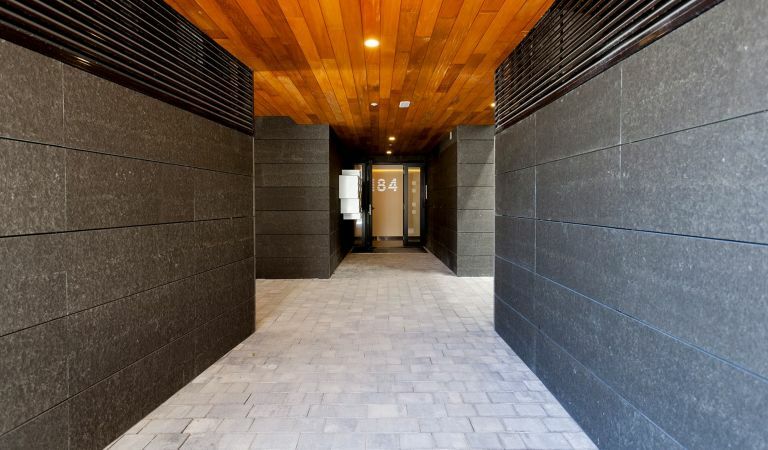 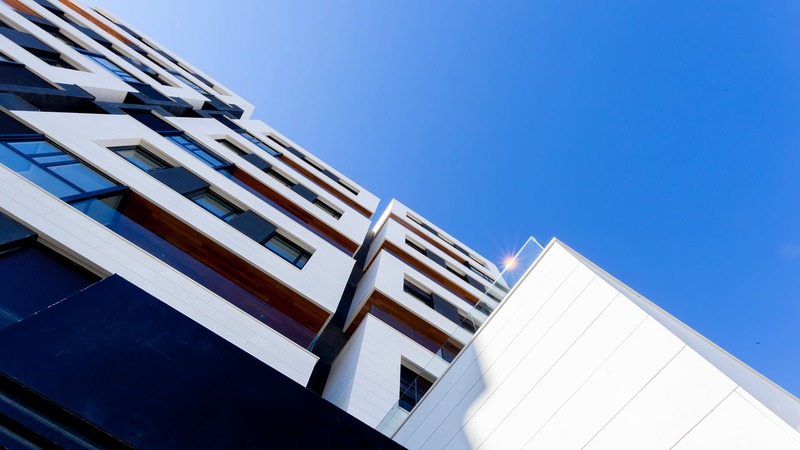 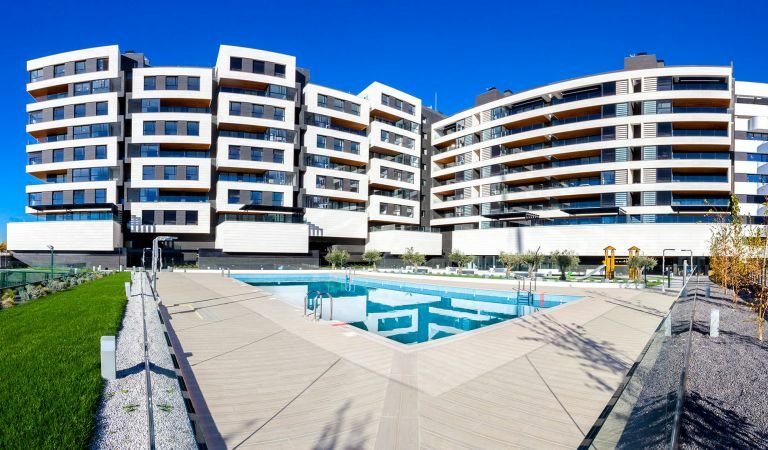 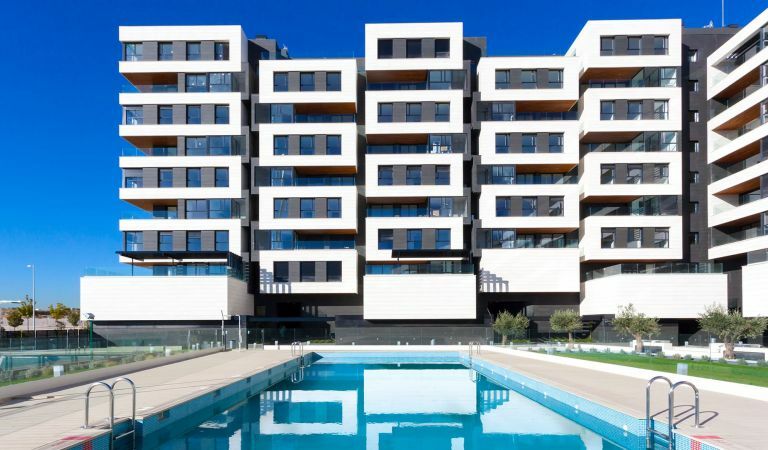 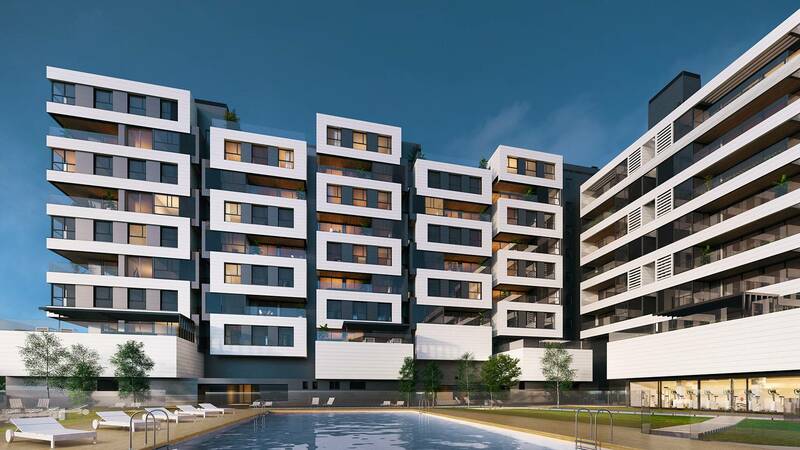 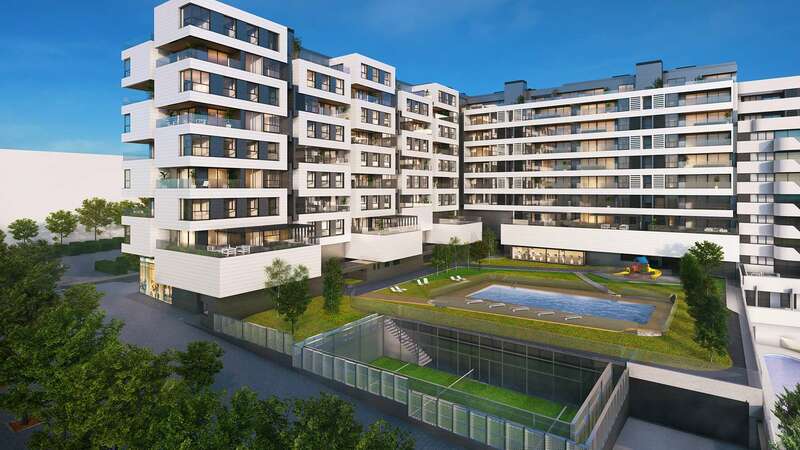 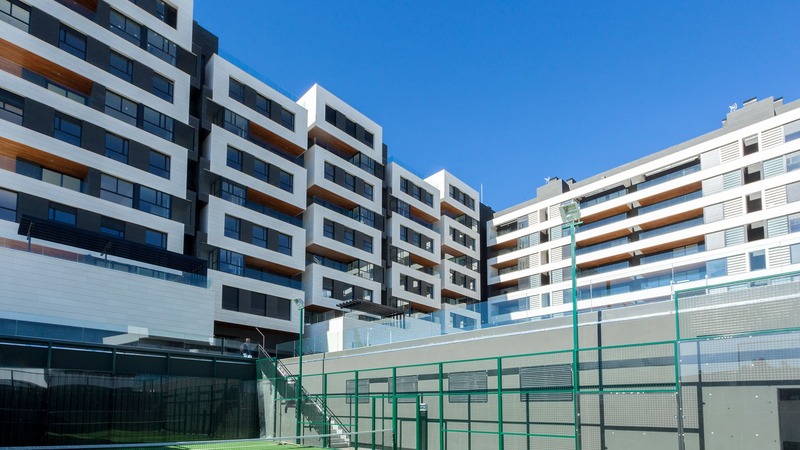 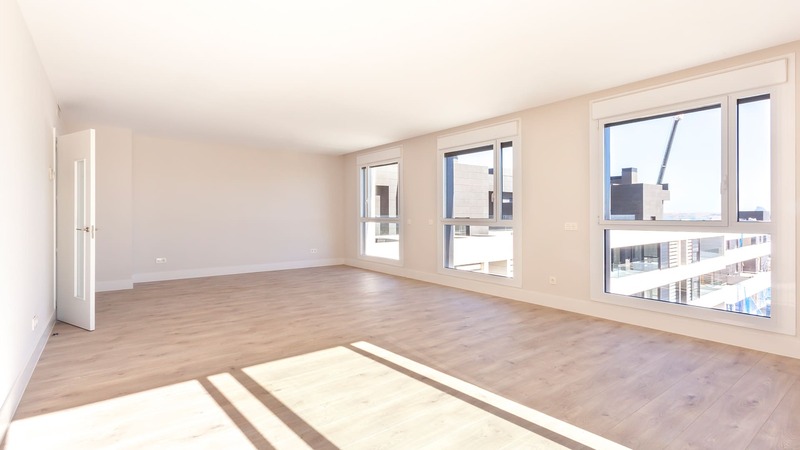 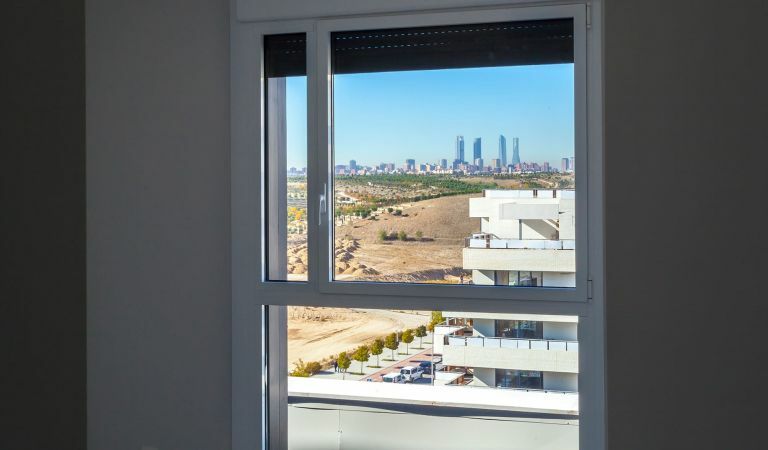 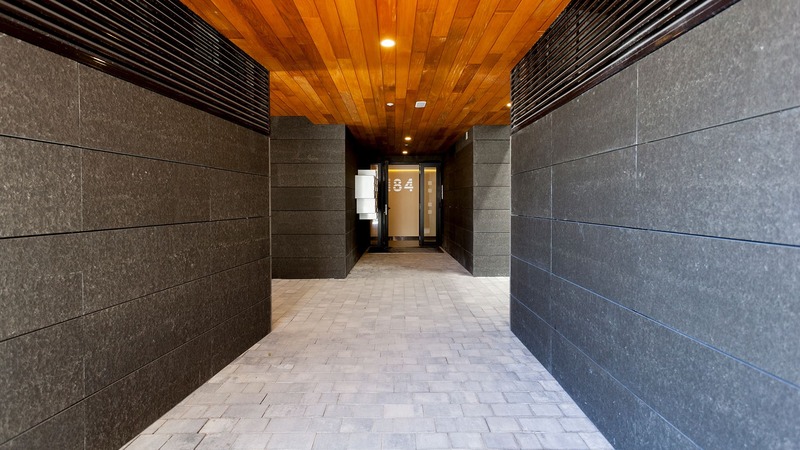 This urban development has exclusive 3- and 4-bedroom homes opposite El Parque de Valdebebas. All Isla Alborán homes have dual orientation and a terrace. 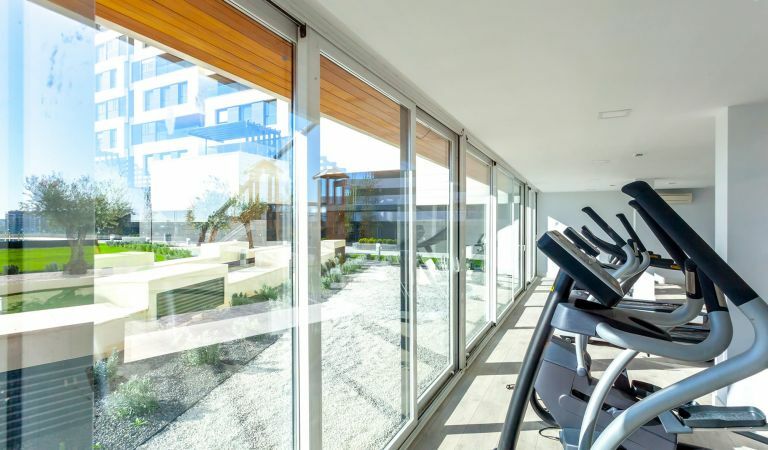 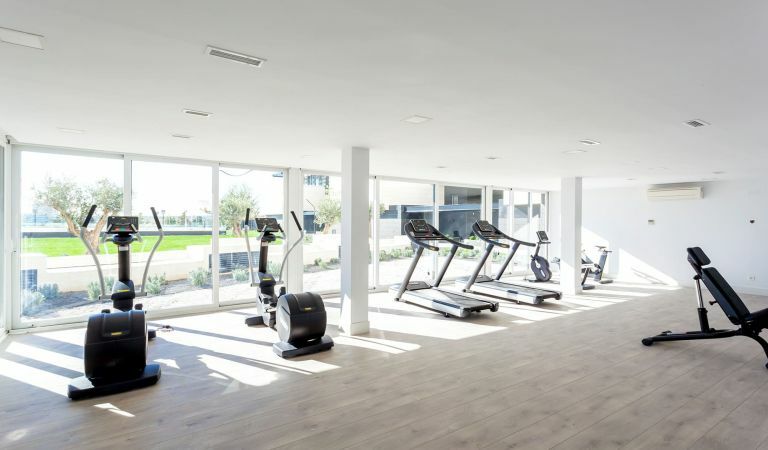 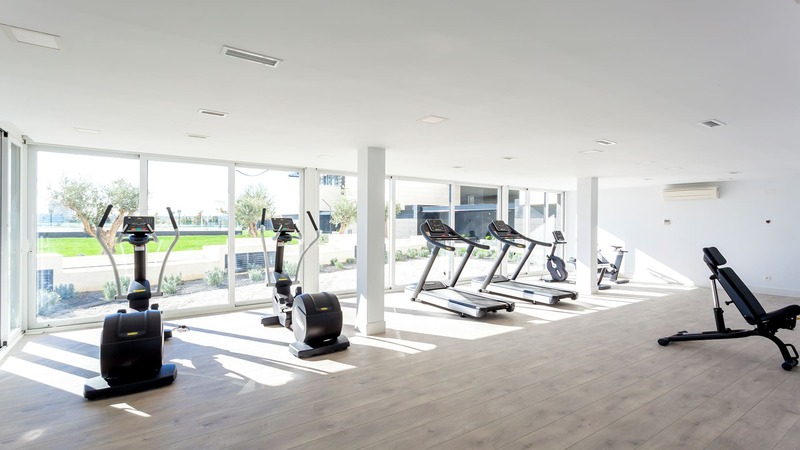 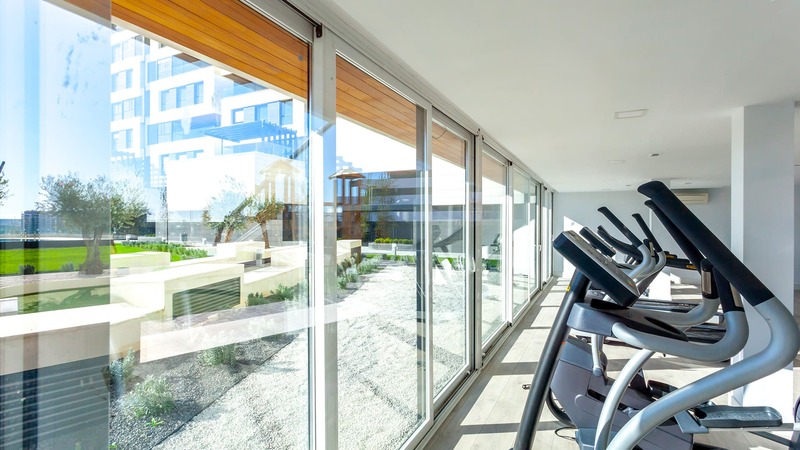 All homes in the Isla Alborán development have dual orientation and a terrace and have access to ample communal areas with a swimming pool, a floodlit inground paddle ball court, a playground, a gymnasium with the latest equipment, a multi-purpose hall and garden areas. Its strategic position make it a unique place to live, not only because of its easy access to the centre of Madrid but also because of its urban development, which is designed to be environmentally sustainable. 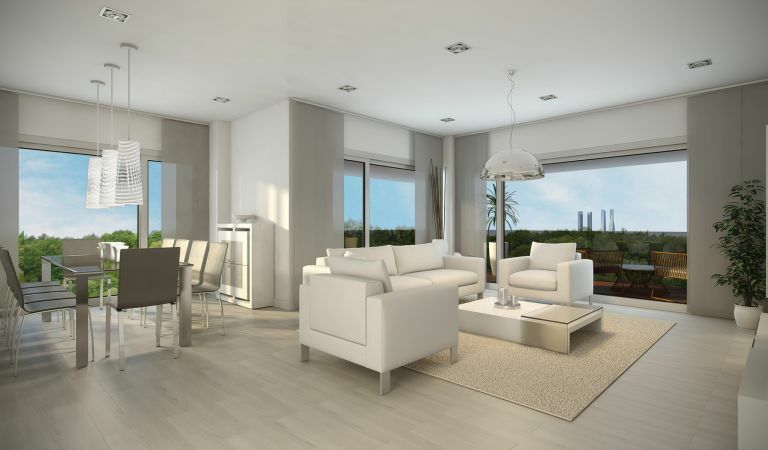 As is the case with all of our free-market housing developments, Isla Alborán has high-quality interior finishes and in communal areas and, in order to adapt to each of our clients, clients will be able to choose from a number of design and finish options (for example, from a wide range of flooring and tiling options, home automation installations, the motorisation of bedroom shutters, the installation of charging points for electric cars, a hydromassage column, a towel rail or air conditioning units. 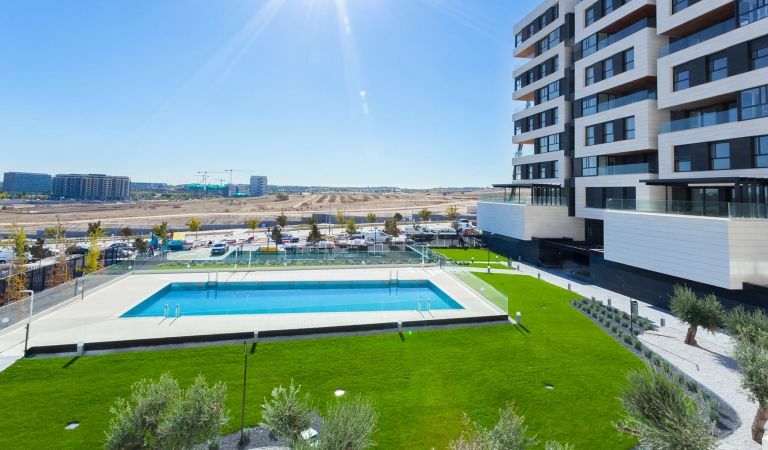 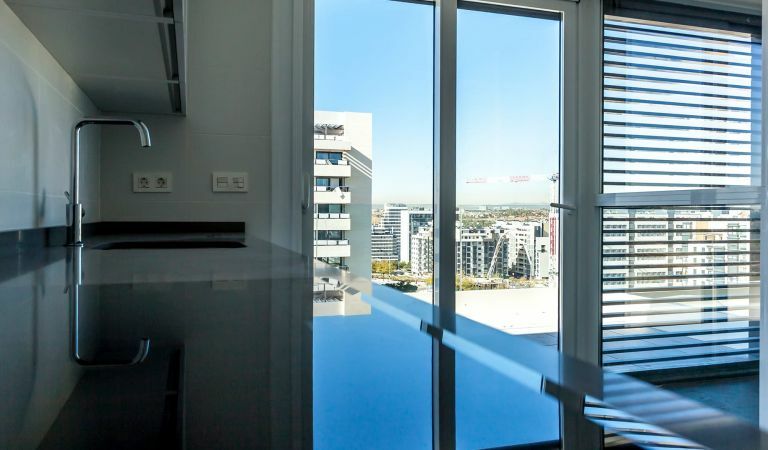 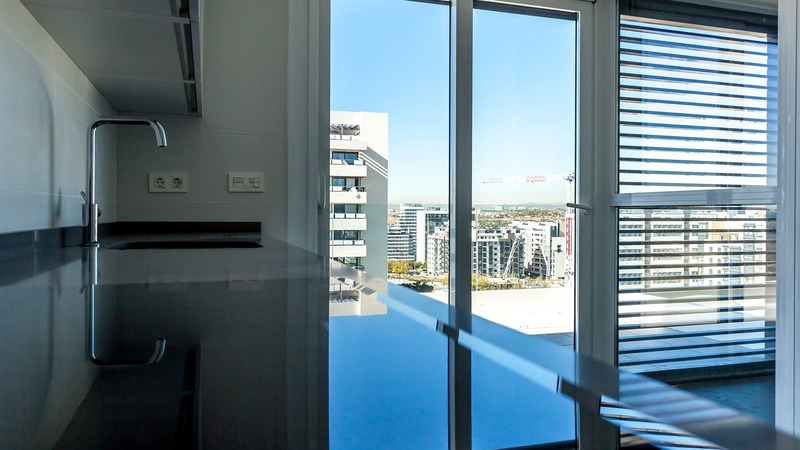 The best of living in a residential area, close to the city centre. 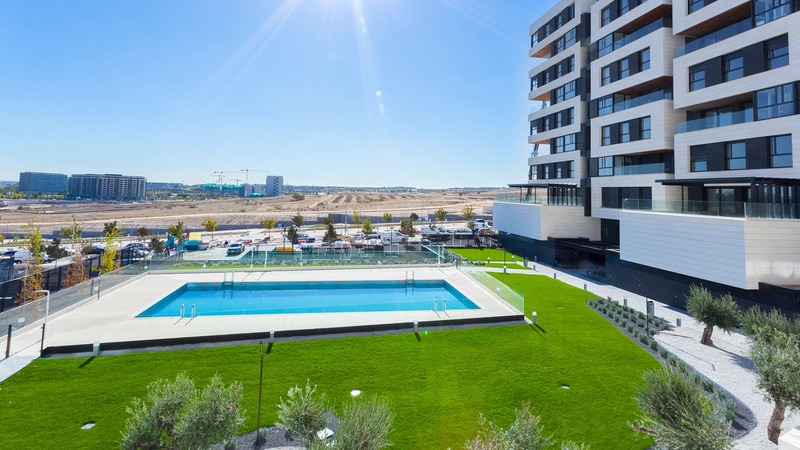 The exclusive development of Isla Alborán will be built in Valdebebas, an area north-east of Madrid and equipped with the best infrastructure. 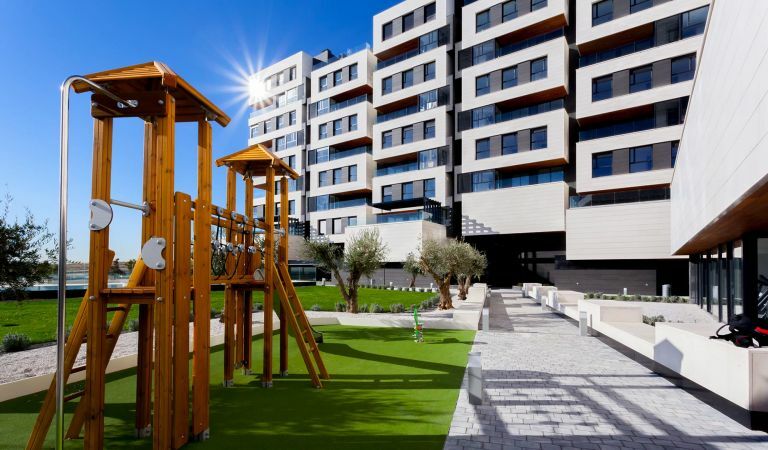 Its surroundings make it a unique place to live, not only because of its easy access to the city centre but also because of its urban development, which is designed to be environmentally sustainable. 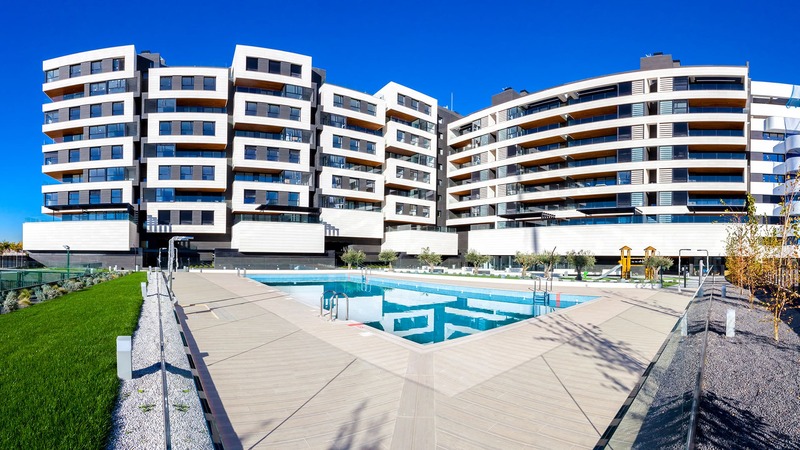 Created for you, to enjoy them and their surroundings to the maximum: discover Gestilar’s current promotions and find your new home. 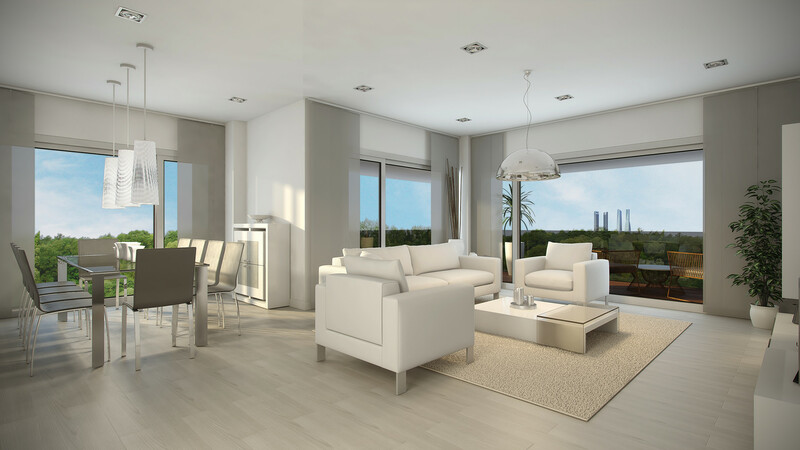 Don’t hesitate to book an appointment with us with no obligation!